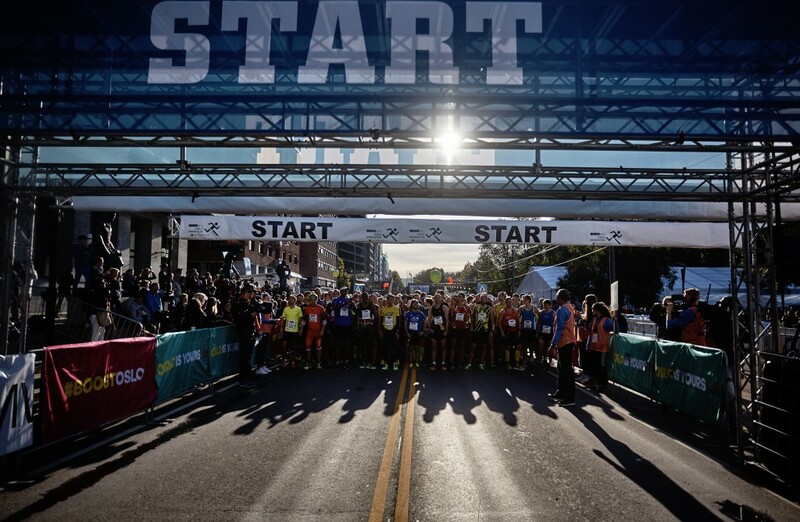 In 2018 the start time for the Marathon was at 9:25 am. The start time for 2019 has not been set yet, but is expected to be approximately at the same time as 2018. Finalt start time and groups will be published closer to the event. * Administration fee (NOK 20) and one-time license (NOK 50) will be added. If you have a full-year license, this can be registered at registration, and you will not be charged for a one-time license. The runner also must pass the halfway mark in under 3 hours, or you will not be allowed to continue. For some runners a Pace team is the best motivation or tool to reach your goal time. 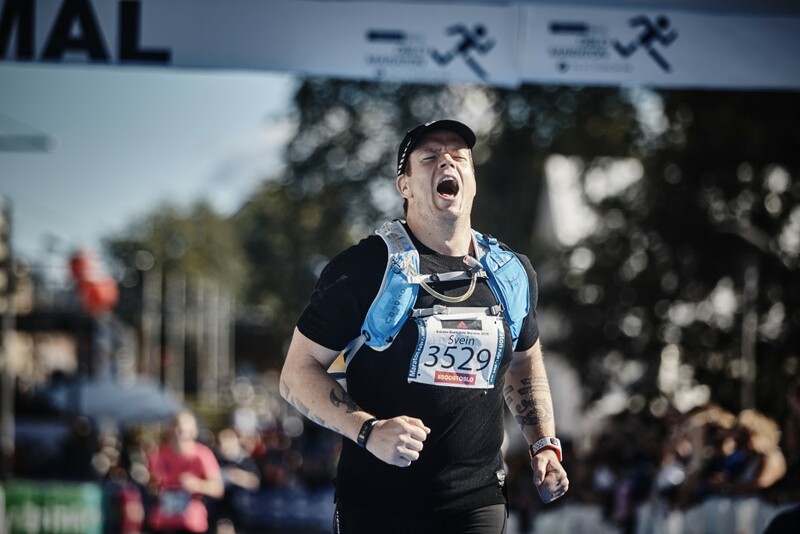 The Pace team leaders in the BMW Oslo Marathon carry a pennant on their back telling you their pace time. Before start they also hold a big red balloon showing their pace time so they are easy to notice. Your registered estimated time will place you in the stratgroup with a pace team close to your goal time. There will be several fluid stations along the course which will offer sports drinks from Maxim, Red Bull (50/50 Red Bull and water), water, Cola and Ali Coffee. Some fluid stations will also serve bananas, but this is primarily served during the Marathon and Half Marathon. Food and drinks will also be served at the finish area. There will be maximum 5 kilometres between each fluid station. For marathon the course is run twice. For more information about bib number pick up, luggage storage, or other questions regarding your entry or the race day please see the Runner Info.